Once upon a time there was a group known as the Northern California Mangani. It was so named because of the prevalence of the great, hairy men of the forest who dwell among the redwoods and other forests in the north end of The Golden State, which some believe is really a state all to itself as signs proclaiming it the "State of Jefferson" are easily seen by freeway travelers. 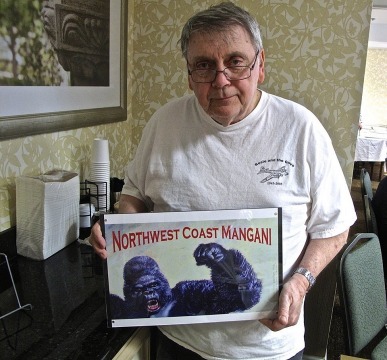 Northern California got a boost to its claim to fame from the famous Patterson-Gimlin film which is a part of just about every Bigfoot or Sasquatch documentary on television and all over the internet as well. The film, shot in 1967, shows a giant apish creature of some kind ambling across a clearing and taking a quick look back at the cameraman. It was shot "alongside Bluff Creek, a tributary of the Klamath River, about 25 logging-road miles northwest of Orleans, California, in Humboldt County,” according to internet sources. 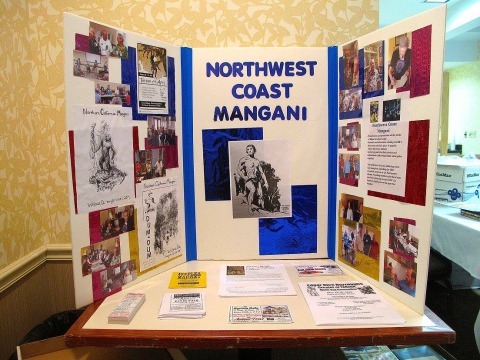 However, since modern-day Mangani dwell not only there, but also as far south as the Tarzana region and north to Oregon, Washington, and even British Columbia, the group decided to keep the NCM initials but change its name to the Northwest Coast Mangani. This is one case where Mangani do not beat their chest and challenge Mangani from other regions, but welcome then with open, albeit hairy, arms. 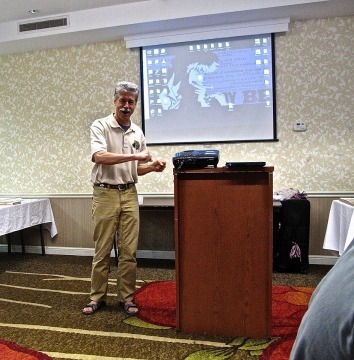 A few years ago, after the NCM first organized, I asked someone how one could become a member of the NCM. The response was that all you have to do is declare yourself to be a Mangani, so I did and, thus, I am a member. 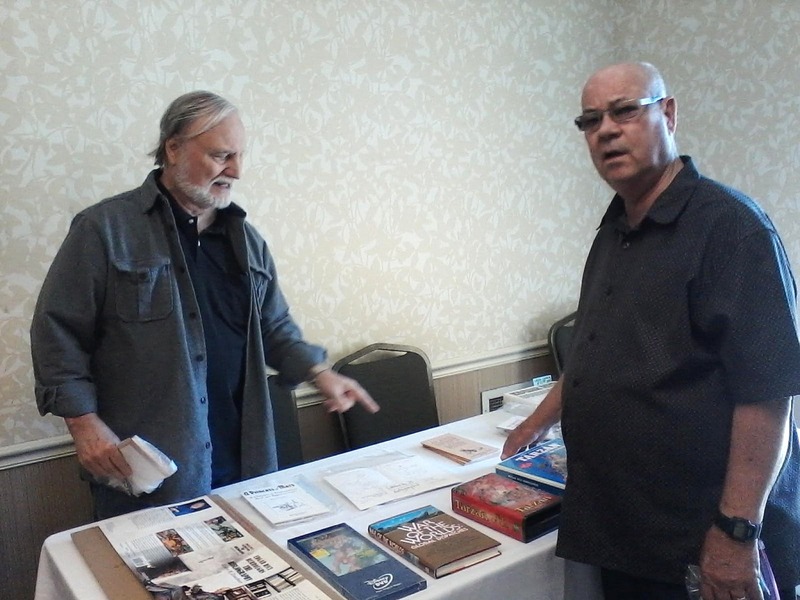 I have attended several Mangani gatherings, including two previous ones in Willows, Calif. 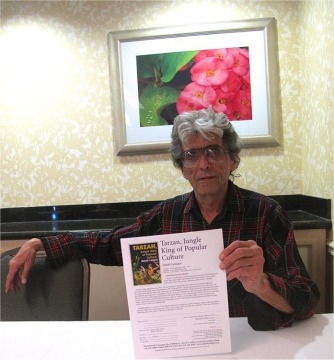 The most recent was organized by Tom Tolley and Donald Gray in the Greater Sacramento area, where many of the Mangani dwell, including David Lemmo, author of the new MacFarland book, "Tarzan: Jungle King of Popular Culture." That book was for sale at the gathering, which took place Saturday, May 20, at the Hilton Garden Inn in Folsom, Calif. 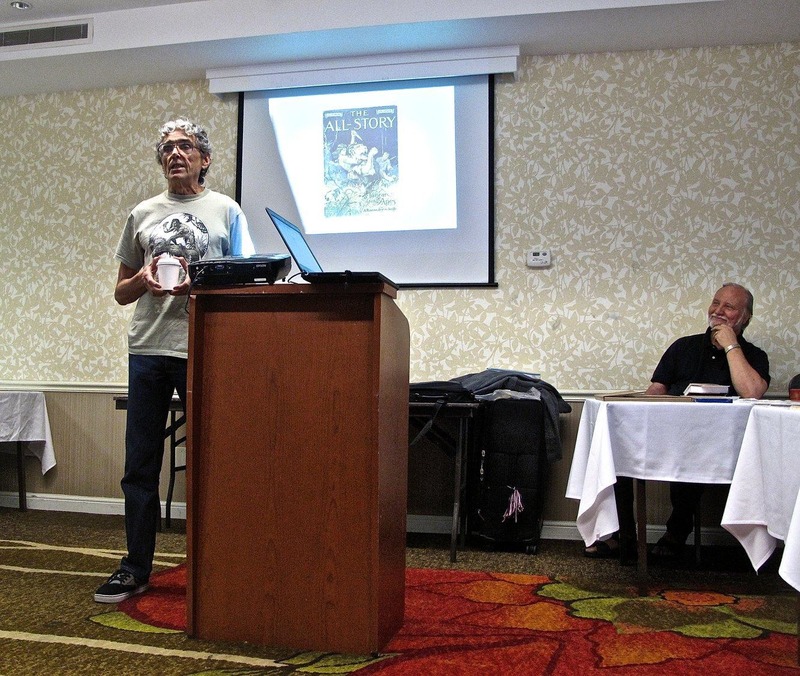 In a way, it was a test run for the 2018 ECOF, which the group will also host in the Sacramento area, perhaps even at the same location, which is just half a block from a Chili's Restaurant, a traditional foraging place for the Mangani. There is also a nice dining facility in the hotel lobby itself, with plenty of seating for guests but, alas, no earthen drums to beat upon. 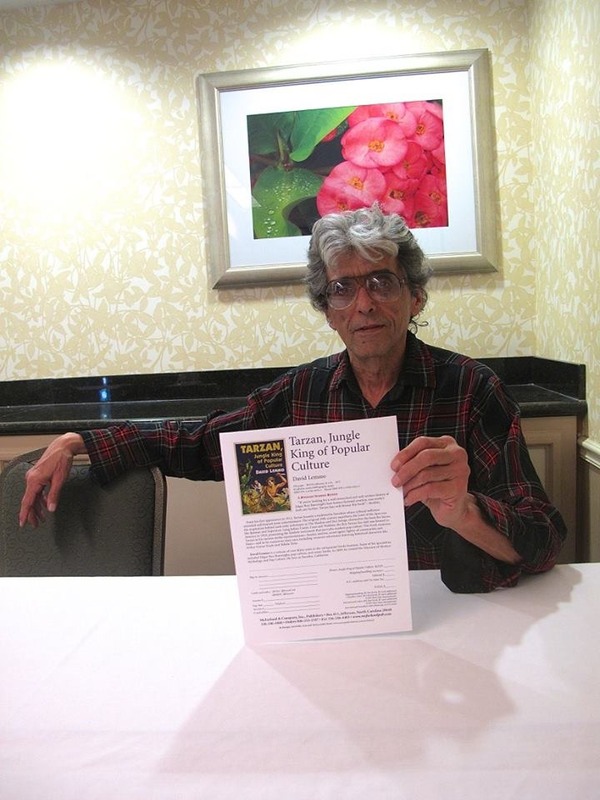 Nels Myrhoj, from Langley, B.C., was the northernmost Mangani in attendance, accompanied by his wife, Viki, and Dr. Robert B. Zeuschner, Sierra Madre, the southernmost. Dr. Zeuschner is the author of "Edgar Rice Burroughs: The Bibliography," and was accompanied by his wife, Lindy. 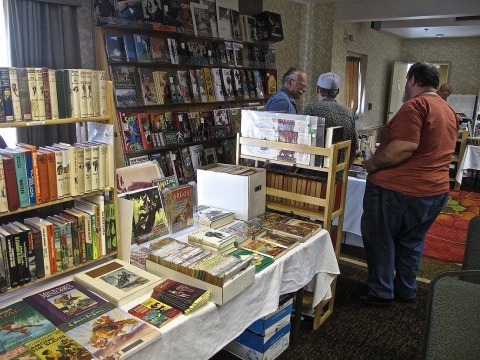 Many of the Mangani are early birds and showed up the evening before, when the Inn graciously opened the Dum-Dum area so members could set up their tables laden with books and do a little pre-event trading and selling to each other. More of that went on about 8 a.m. Saturday morning before the doors were thrown open to the general public at 10. 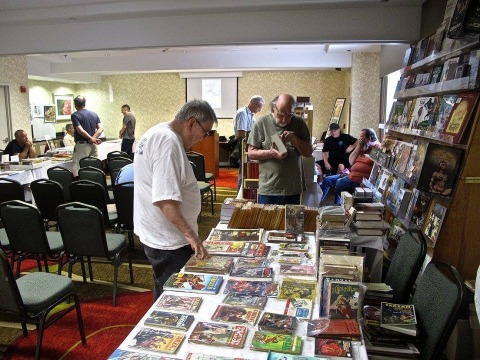 The day saw many ERB fans from surrounding areas coming in and checking out the wide variety of books for sale and making purchases here and there. The afternoon featured presentations by Lemmo on the process he went through with editors in getting his book finished in a way that pleased both him and them. 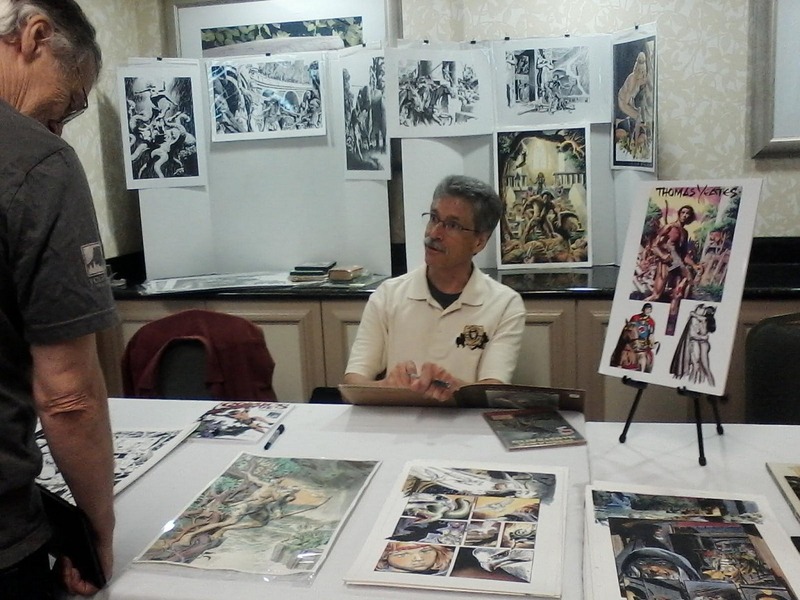 David said he has so much material that he has plenty left over for another book on mythological comparisons to Tarzan, so fans can probably expect an announcement about that at some time in the future. 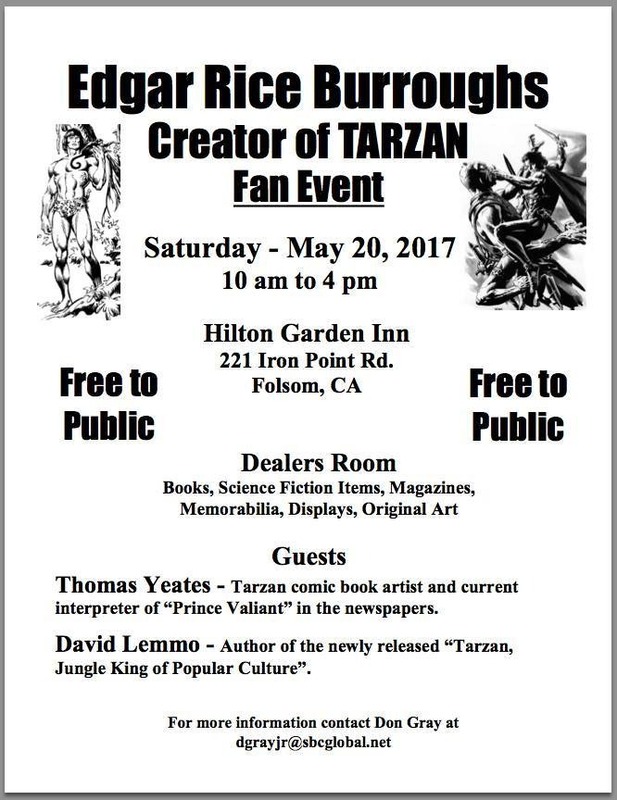 Thomas Yeates said his work on the Prince Valiant Sunday comic is taking up most of his time, but he is still involved with an omnibus version of "The Once and Future Tarzan," featuring his work and work by others, including new material, which Dark Horse is planning to publish this January. Thomas also had copies of the omnibus of "Tarzan: The Beckoning," for sale. In the original comic book run of seven issues, one of the issues was printed with several pages out of order, which was a huge disappointment. However, the omnibus has all of the pages in the correct order, so it's a good buy. 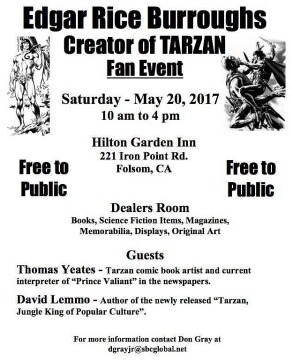 Many call "The Beckoning" the best Tarzan comic pastiche ever written. And David's book is a good read too. 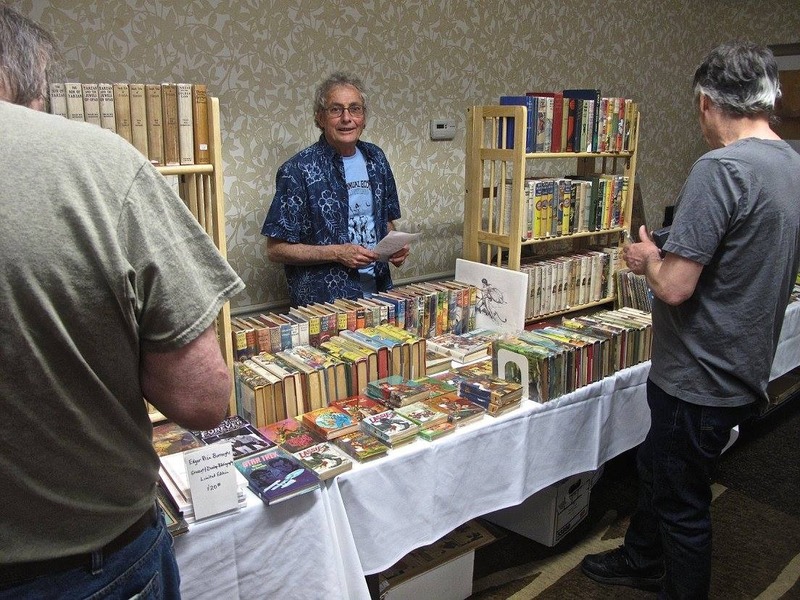 With the treasure trove of information on ERB's books in Dr. Zeuschner's bibliography as well, ERB fans can be thankful they have so many talented people who are willing to expend the time necessary to put together wonderful books such as these. That runs by Folsom Hilton, where Burroughs fans are bold. But they spread in all directions, when everything was through. Their mommies all had told them, "Don't read those Tarzan books,"
But all of them persisted, despite mom's dirty looks. 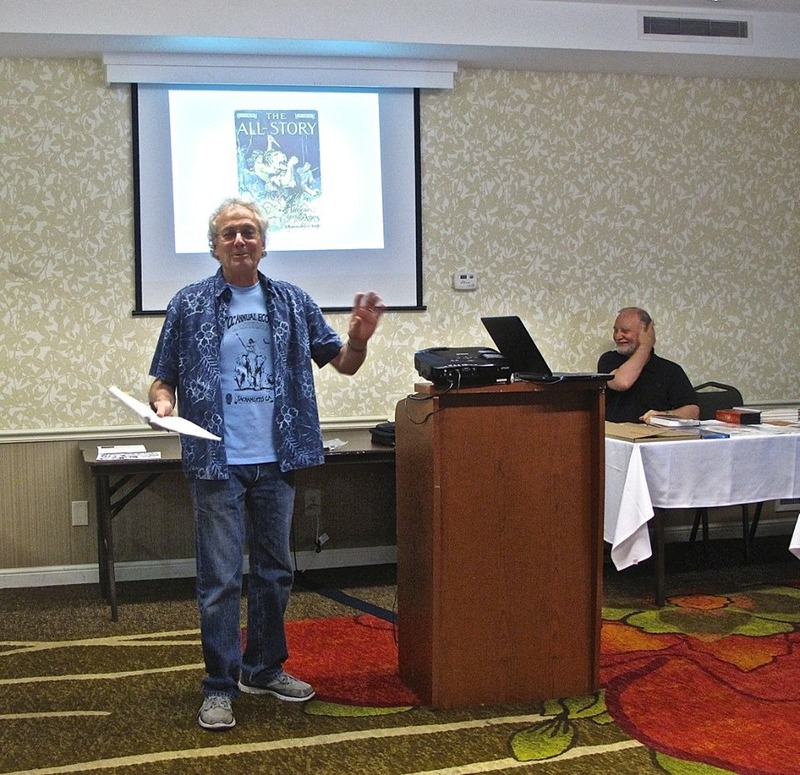 Carson lost on Venus, and tales on Farthest Stars. And I'd buy lots of Burroughs books to make my bookshelves grow. And the folks at Folsom Hilton, would say "That's all he wrote!" 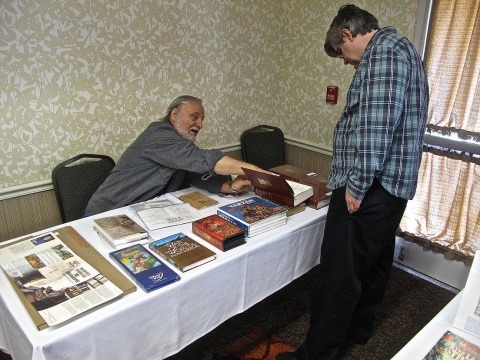 Author and historian Tom Tolley, the mastermind of our events, at his booth. the creation of Diamond Comics Distributors. He sold out all of the copies of the Lemmo book at this event..
after Bud sold the copies of the book. 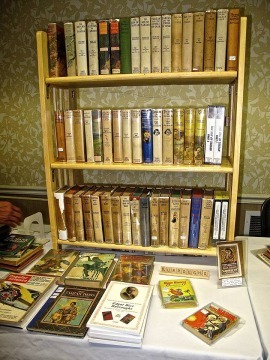 of two great bibliographies of ERB, one of which is a McFarland book. the Prince Valiant newspaper comic strip for the last 5 years. who is one of our Canadian members of the Northwest Coast Mangani. 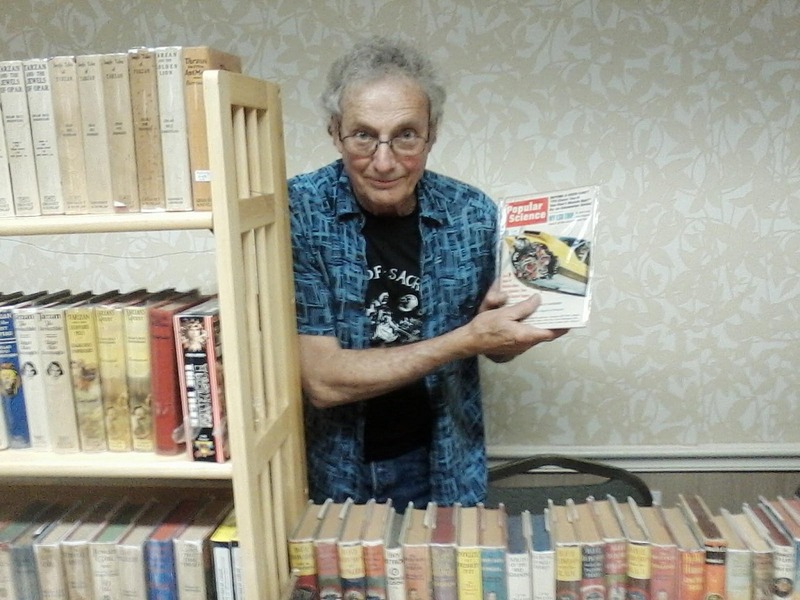 Bud Plant was selling Pete Spriggs a copy of the Lemmo book. 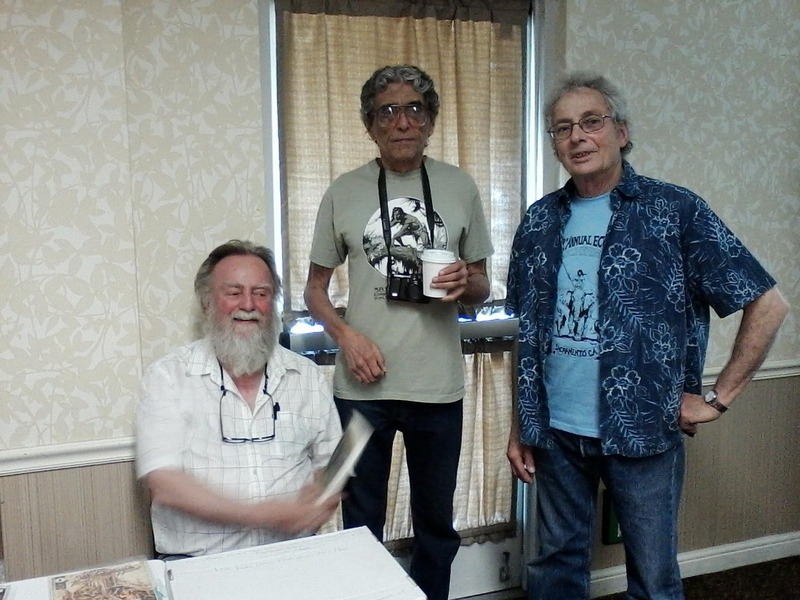 Pete later asked David to inscribe it. 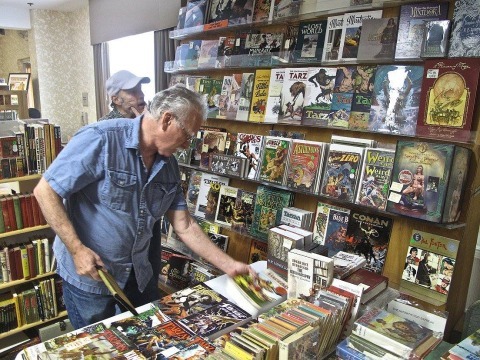 the evolution of the superhero, and the crossover genre of fiction. 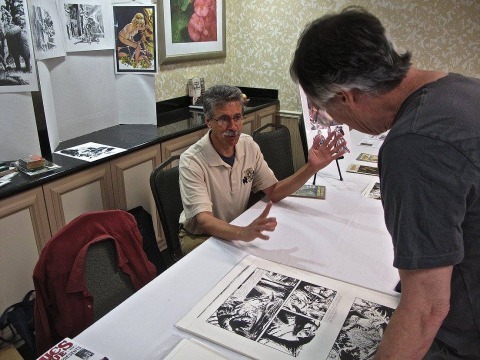 how he became a professional artist, and future projects. when the photographer stopped by and asked him to hold it up again for a photo. but there was plenty of ERB on the shelves at left. author of "Edgar Rice Burroughs: The Bibliography,"
enjoy a chat in the huckster room at the Northwest Coast Mangani meeting. 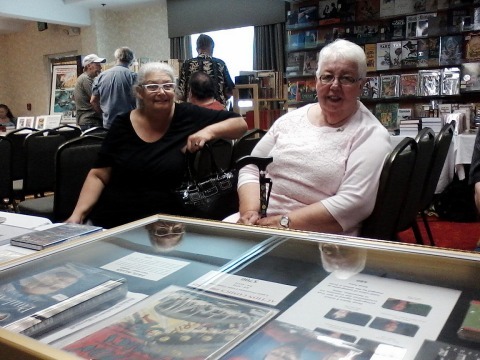 At left is Viki Myrhoj, visiting with Katie Brown. Mark Frailey (not shown) of Skullduggery Books. 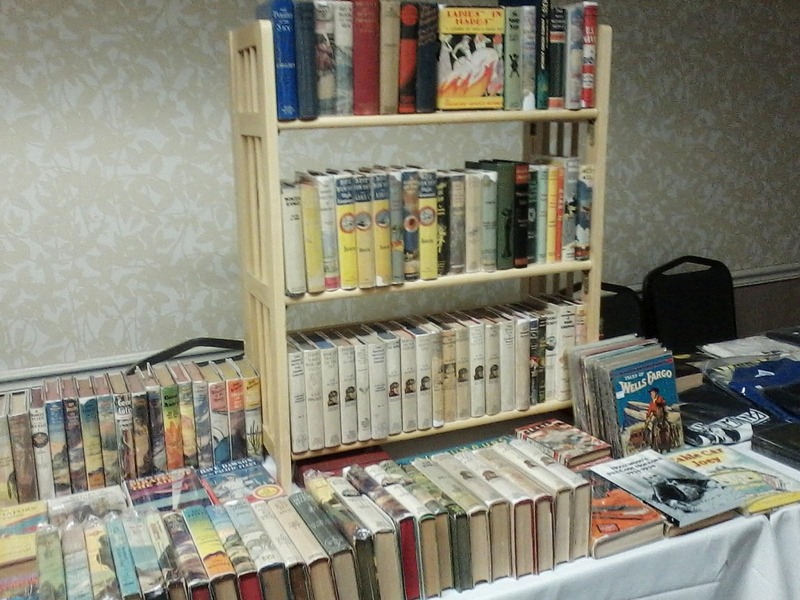 Cobblestone Books also had a table. 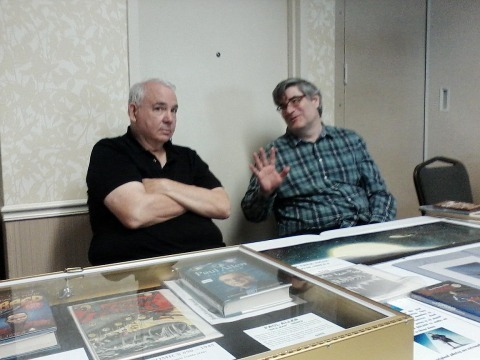 paused from their ERB-centered conversation to acknowledge the photographer. 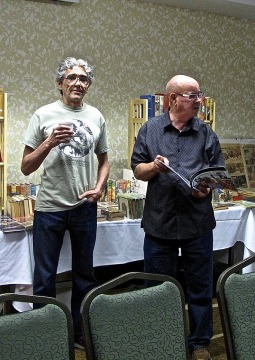 David and Tom are wearing shirts from past ERB gatherings. Nels is wearing a shirt from his closet. Don Gray, left, and Steve Baran, have a chat at Don's table. Don is one of the NCM doing planning for the 2018 ECOF. at the Mangani gathering in Folsom. brought books on such subjects as TV cowboys and children's series books. until it was purchased by a lover of vintage fiction.